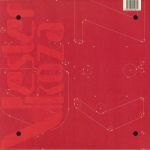 Review: Vester Koza has remained quiet as of late but he's back with his singular brand of deep house on his own Maslo imprint. 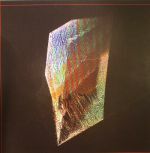 While his previous 12"s were coated in a relatively upbeat and funked-out flavour, the PRISN EP feels darker, more expansive and ethereal, where Koza prefers the use of drones and abstract electronics as a base for his grooves. "Deciveid", for example, takes a broken, hypnotic beat and places it over subtle twists of noise, whereas "Bind_Dream_Service" is slow, jagged and lacking of a 4/4 beat...it's Vester Koza's industrial side coming out to play.